With the recent rash of online security incidents that include data breaches and ransomware attacks, one thing has become clear: no information online is safe. If major entities like the email provider Yahoo!, the credit bureau Equifax, and software giant Adobe can fall victim to the data breaches carried out by cyber thieves, then everyday end users are certainly vulnerable to having the data they store on devices and send through the Web stolen. Fortunately, although the growth of the Internet has led to opportunistic security exploits for hackers, it has also led to the development of tools that allow end users to put the security of their devices and electronic information into their own hands: encryption applications. A form of cryptography, encryption is the process of taking a piece of information that is understandable and scrambling it using a special method so that the information is unintelligible. The special method is called a cipher, and the collection of data or rules used to apply the method is a code called the encryption key. To decipher, or decrypt the scrambled information back to its original, comprehensible form, an encryption key is used again to decode the information. For instance, in public-key cryptography, if two parties need to send information to each other safely, the sender will first lock the information by using a public encryption key with a cipher to obscure the information. Then the sender will send the encrypted information and a private decoding encryption key to the recipient. Once received, the recipient can unlock the scrambled information by deciphering it with the decoding encryption key. Encryption protects two types of data: data that is at rest and data that is in transit. Data at rest is that which is stored on devices like a computer, a mobile device, or a server. Data in transit is information that is transferred, such as that between browsers or between email accounts, or information that is sent to a cloud application. For decades, information encryption was regarded as a complex digital process that required heavy-duty computing machines and programs. Today, encryption applications are accessible to anyone, including end users, who can activate these programs with the touch of a finger. 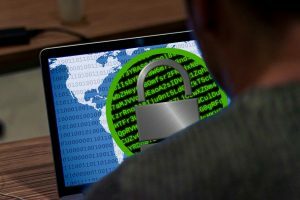 With the computer and mobile device capabilities that are available to end users today, it’s now possible to encrypt personal information across various channels. Here are just some of the different types of information you can encrypt and the tools you can use to do it. First created in 1991, the privacy software Pretty Good Privacy (PGP) has been a long-time go-to program for the encryption of email messages. PGP is an example of end-to-end encryption, which encodes information in such a way that only the sender and recipient can access the decrypted form of a message. It utilizes public and private key encryption, in which the sender encrypts his message with a public key provided by the recipient and then sends it off. Once the recipient receives the encrypted message, he decodes it with his private encryption key. Today, in addition to purchasing standalone PGP software like Symantec Encryption Desktop, end users have the option of downloading free PGP programs like Mailvelope, which is a browser extension that encrypts emails. Available as an add-on for the Chrome and Mozilla Firefox browsers, Mailvelope is pre-configured to encrypt Gmail, Yahoo!, Outlook, and GMX email messages. Another free PGP add-on, Enigmail, integrates with Thunderbird, which is Mozilla’s free email application. To protect the files you store in cloud applications like Dropbox, iCloud, and Google Drive, safeguard them with encryption programs like Whisply, which integrates with Microsoft’s OneDrive cloud application, as well as Dropbox and Google Drive. For cloud users who prefer a more familiar, hands-on method of protecting files before uploading them to the cloud, compression tools like 7-Zip and Zipware that provide password protection in addition to encryption are also available. Messaging apps have become all the rage in the mobile device world, but not all of them provide data security. Make sure that both your inbound and outbound messages are safe by using apps that provide end-to-end encryption like WhatsApp and Signal, which come encrypted by default. Facebook’s Messenger app also offers end-to-end encryption, but it must be manually enabled in order to work. Video and voice messages sent over the Web can also be secured via encryption with mobile apps like Wire and WhatsApp. For mobile device users who don’t care to download video apps from their app stores, Apple’s Facetime application comes pre-installed on the iPhone and comes integrated with end-to-end encryption. Google’s Hangouts call and video app comes pre-installed on Google Android devices, but it only encrypts data in transit and does not offer end-to-end encryption.